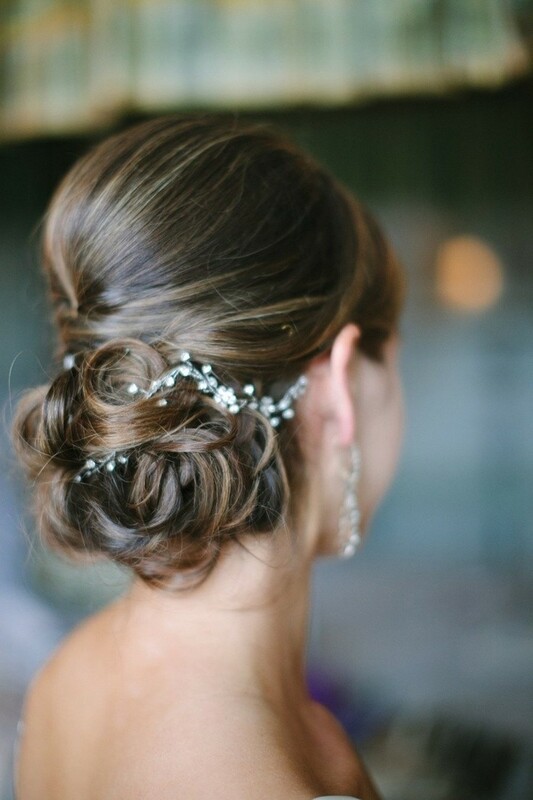 If you’re still not sure how you’d like to wear your hair for your special day, discover the latest hairstyles for brides here! 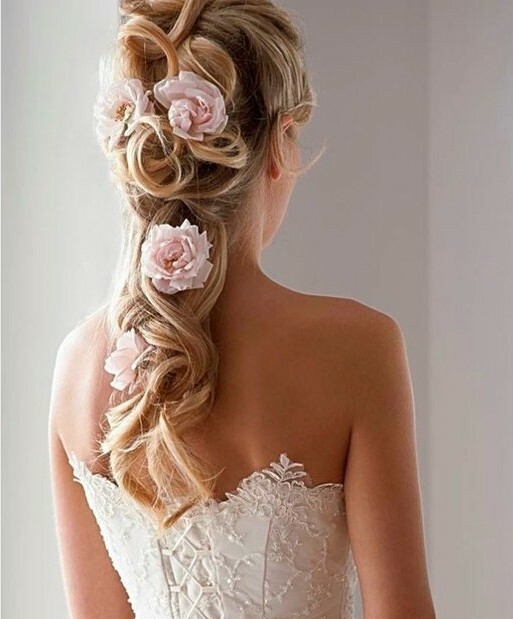 The fairy-tale princess look is ‘out’ now and flower decorations are more popular for formal and semi-formal hairstyles for brides. 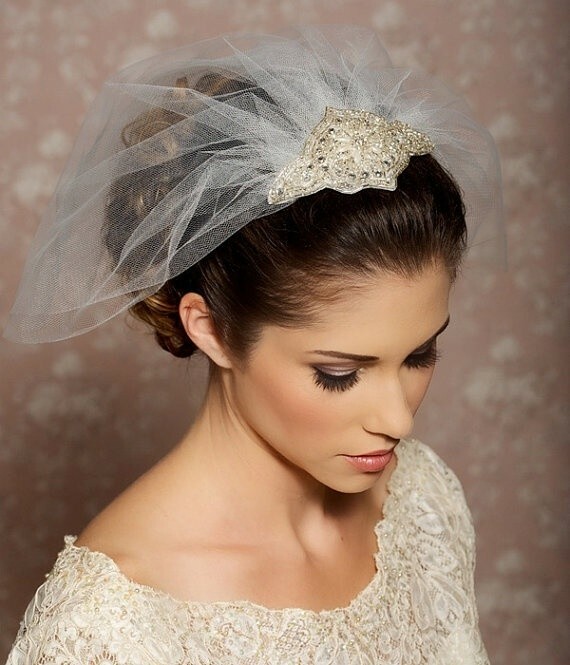 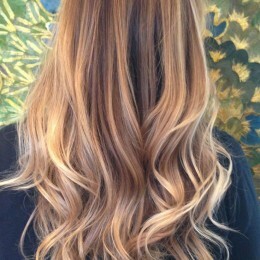 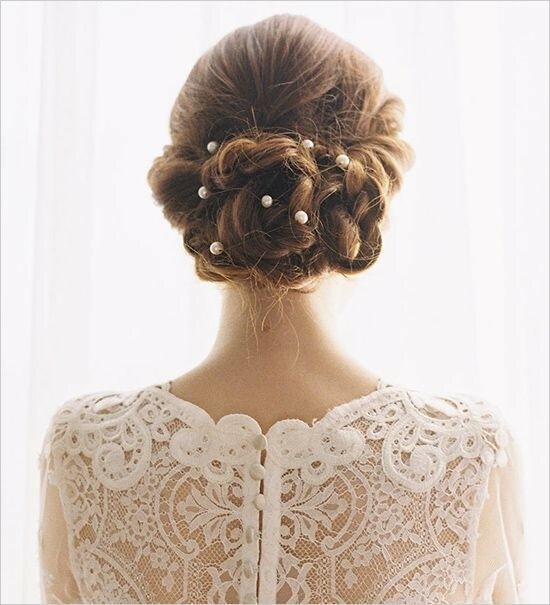 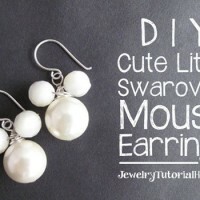 And not all hairstyles for brides have to be done on long hair! 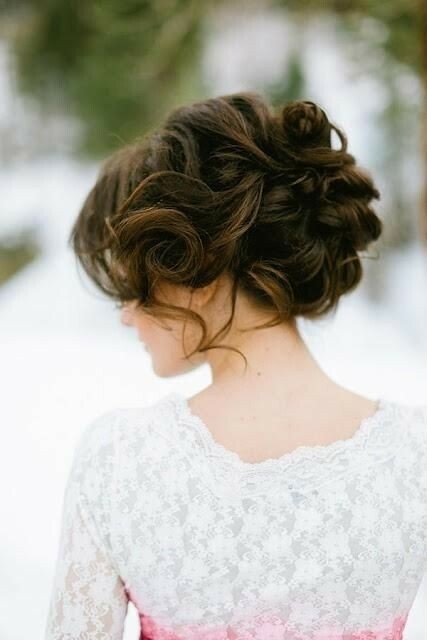 There are lots and lots of super faux-updo hairstyles for brides that a good stylist can create on short and medium hair, too! 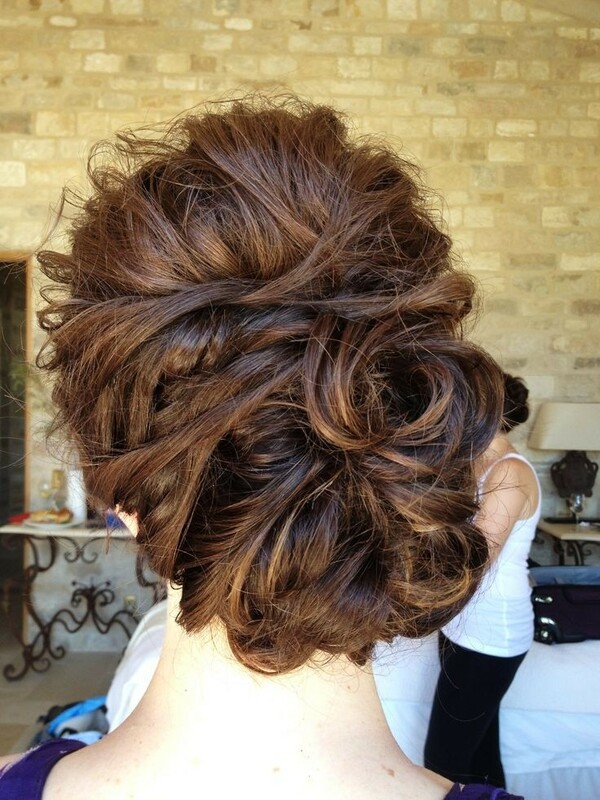 Hair can now be arranged in pretty rolls, twist and curls that are discreetly pinned into place to resemble a long upstyle on the day. 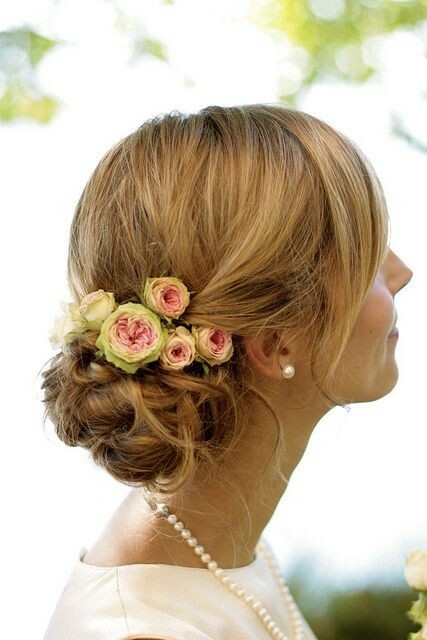 And with the addition of some carefully placed dainty silk flowers, you’ll have a very appealing ‘special’ hairstyle for brides with short to medium length hair. 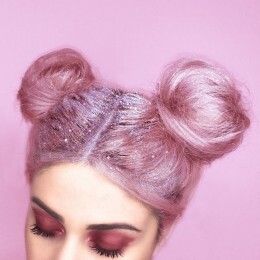 There’s been an explosion in hair decorations for everyone, so it’s worth browsing your local hair accessory shops to take a look at the wide range on offer. 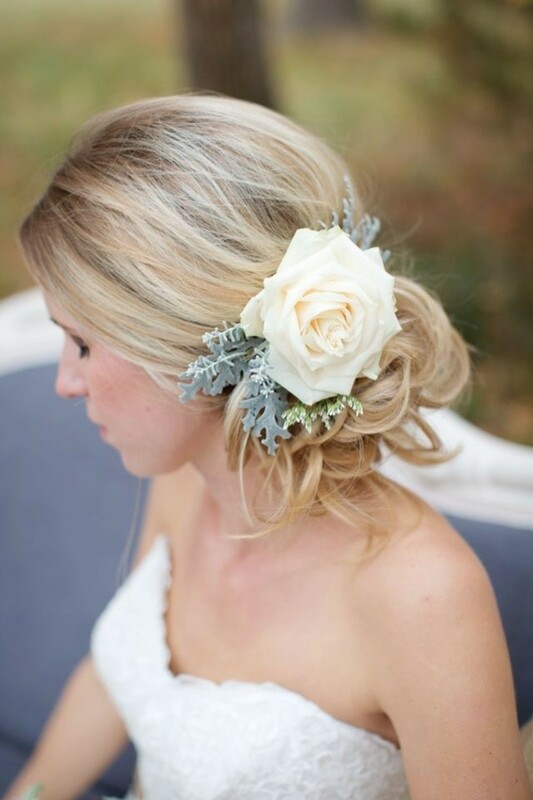 Silk flowers are incredibly contemporary these days and cost a lot less in ordinary shops! 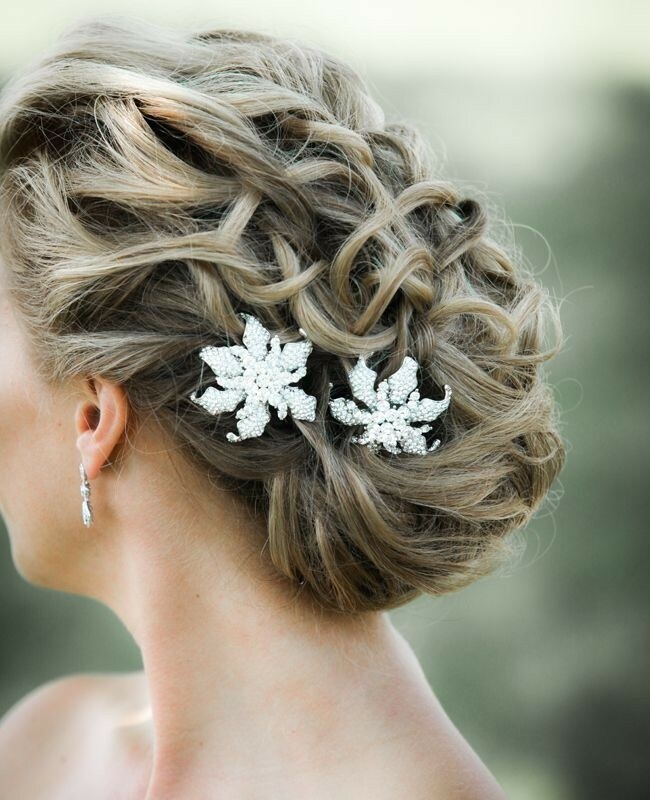 They range from pretty chains of silk daises and other wild flowers to magnificent white arrangements designed to add subtle sophistication to hairstyles for brides. 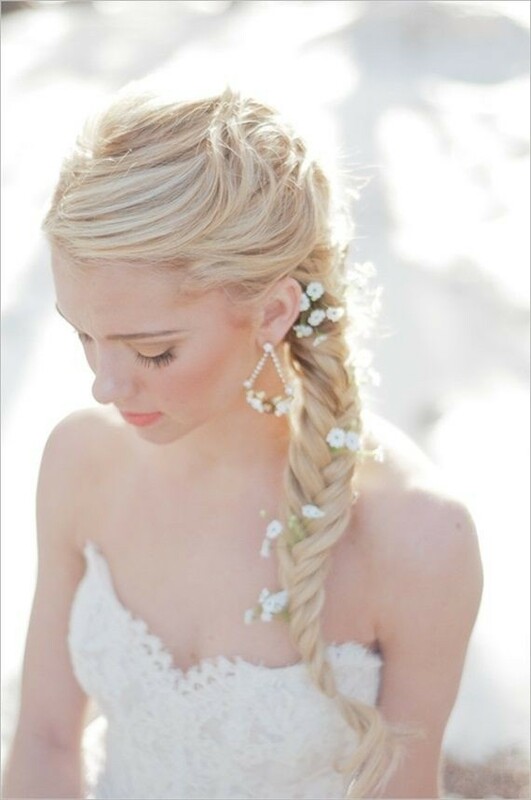 If you like a ‘Boho’ casual look, the new and totally original braided hairstyles for brides this season are perfect. 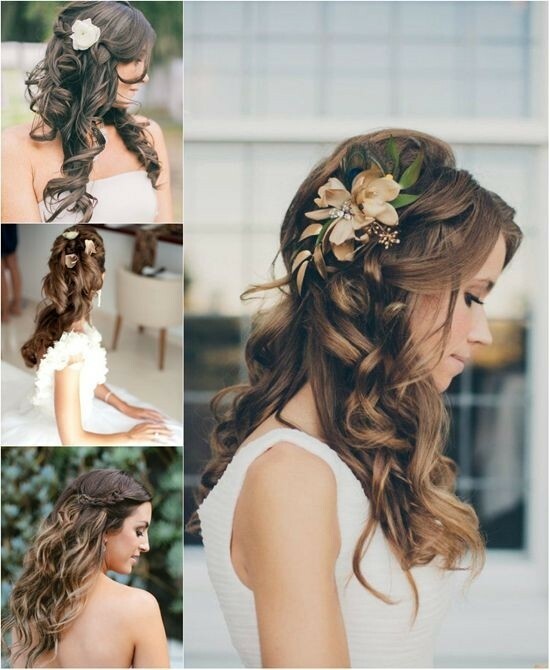 Braids and layered waves or curls have been combined in some really imaginative loose braids that we’ve never seen before! 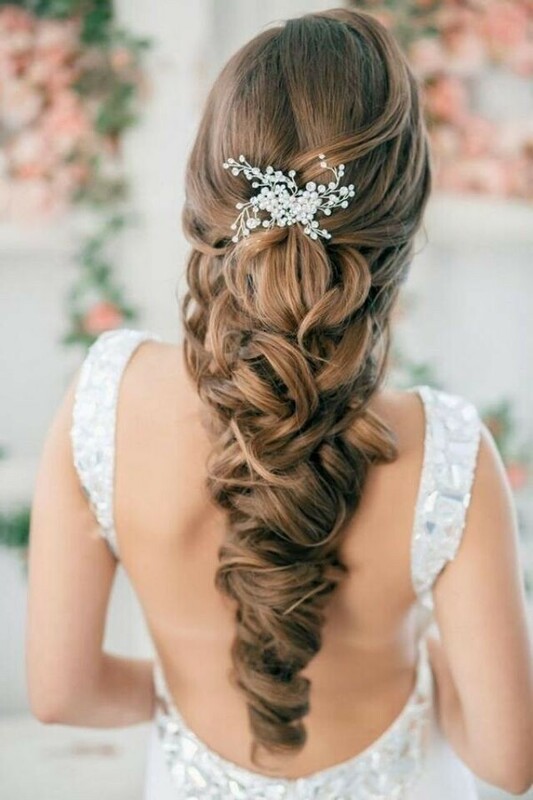 Half up half down hairstyles for brides are still a very popular look and you can have a sleek, smooth formal hairdo for a formal wedding, or a wonderfully wavy relaxed look for a ‘real family and friends’ celebration of your wedding promises. 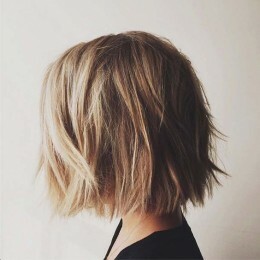 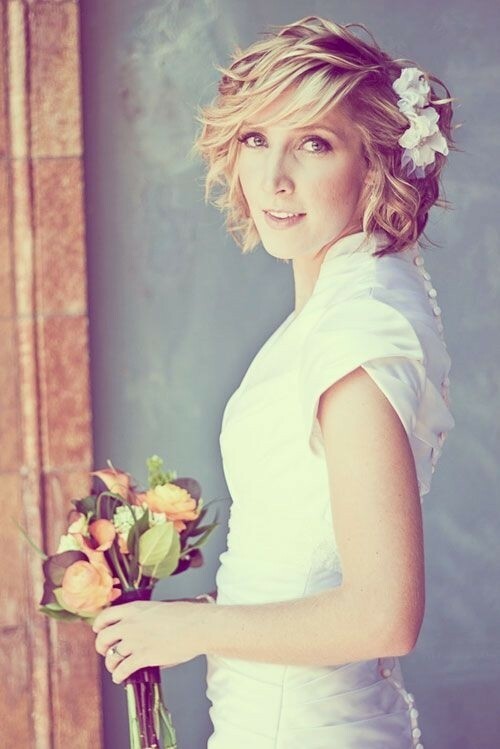 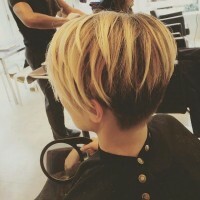 Shaggy bobs and choppy cuts are great for trendy bridal hairstyles and give a fabulously contemporary look. 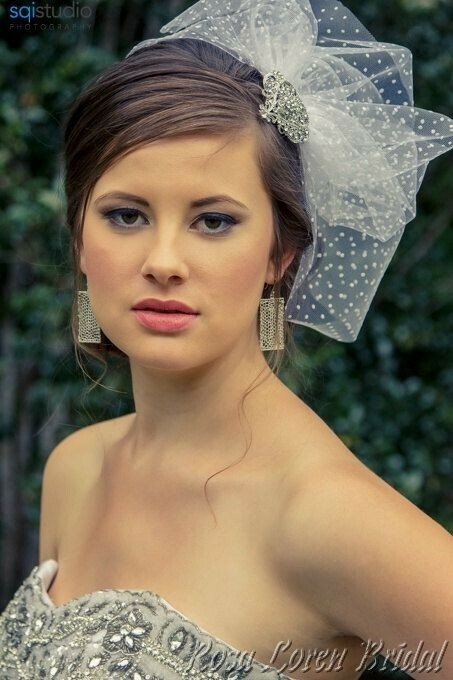 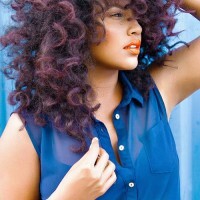 The other big trend for all lengths of hair is to add a braided detail to hairstyles for brides. 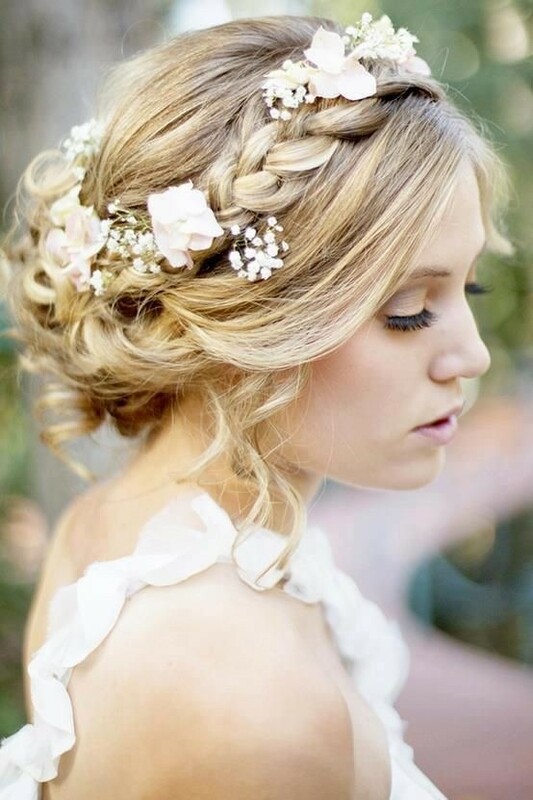 If your hair is too short – there are lots of faux plaits in the shops that can add a pretty plaited band or detail to your special wedding hairdo. 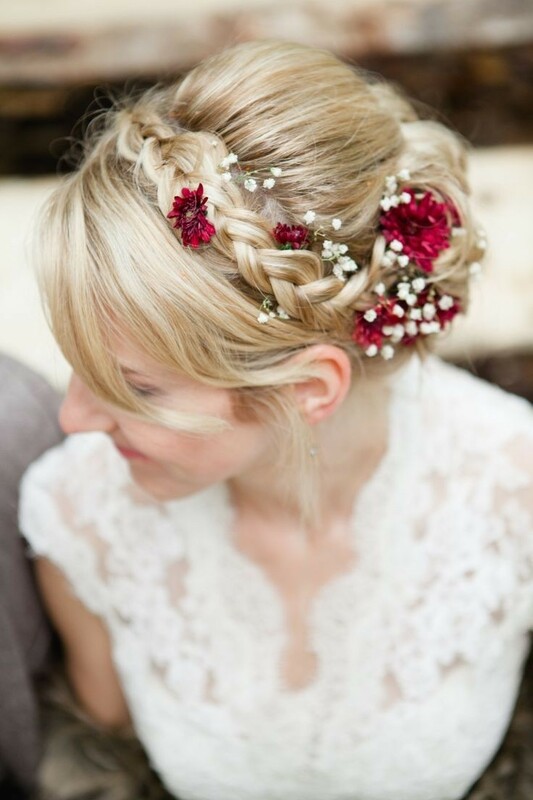 If you’d like to show your individuality, add some red roses to one of the new ‘up’ or ‘down’ hairstyles for brides. 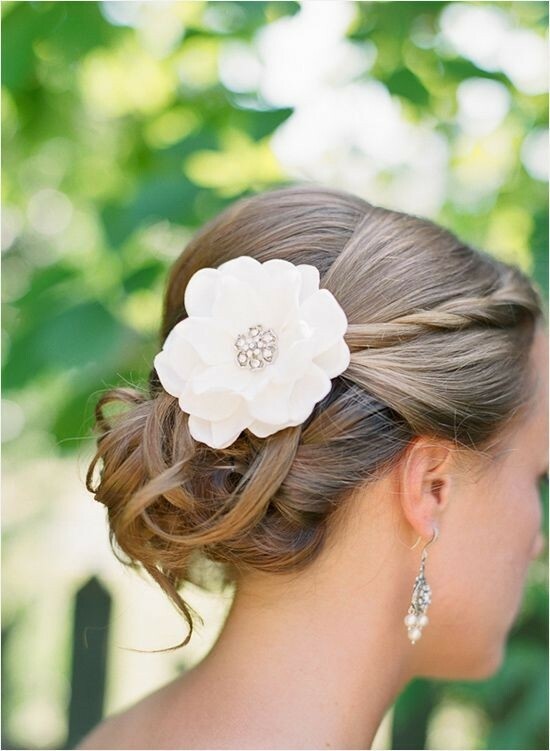 They look absolutely stunning if you choose just the right silk blooms to balance with the rest of your hairstyle. 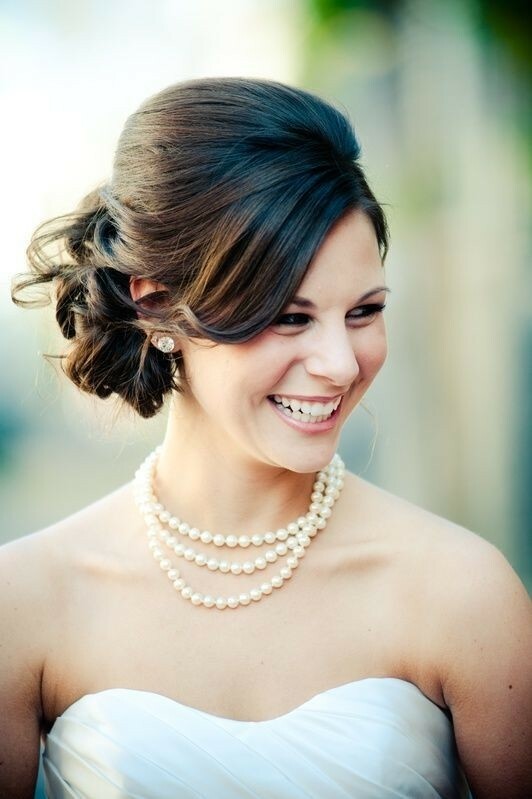 For brides with dark hair, red roses stand out beautifully and what could be more romantic on your wonderful wedding day? 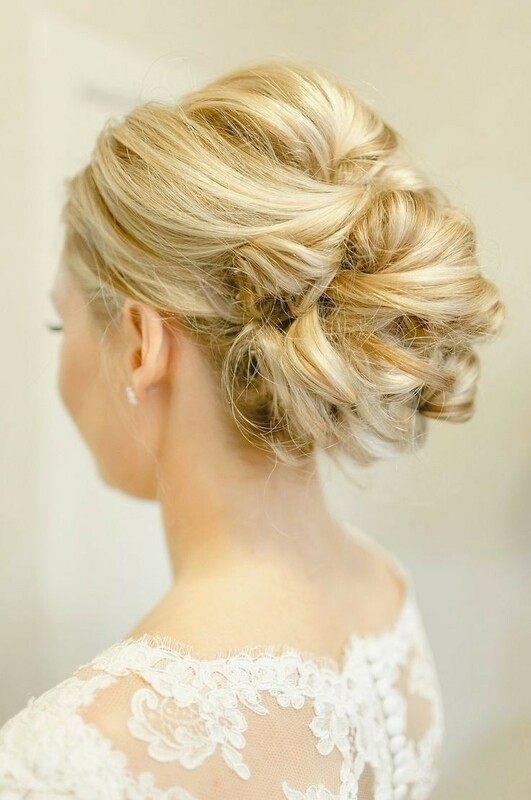 Why not take a moment to browse our up-to-the-minute Inspiration Gallery of the latest and most-gorgeous-ever hairstyles for brides and find your perfect wedding look today!